Cirrus Link partners with industry-leading and proven hardware vendors for the Chariot SCADA solutions. We continually research and add new devices as they become available to the market to address our customer needs. Please see our hardware solutions below. Click on the company name below to view their products. 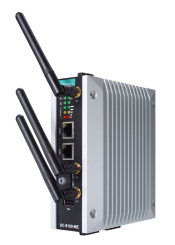 B+B SmartWorx – Founded in 1981, B+B SmartWorx provides intelligent M2M and IoT connectivity solutions for wireless and wired networks. Specializing in device connectivity at the “edge” of networks in remote and demanding environments, B+B Smartworx developed the Wzzard Intelligent Sensing Platform to facilitate the coming world of connected intelligence, where machines and systems will collaborate, inform and make decisions based upon sensors data. Wzzard is an easy to use, complete wireless sensor connectivity platform for the rapid deployment of scalable, intelligent, reliable IoT networking in remote and demanding environments and applications. Elecsys Corporation – is a leading provider of innovative M2M (machine-to-machine) technology solutions and custom electronics for critical industrial applications. Elecsys provides Cirrus Link with a portfolio of edge gateways enabling the Chariot SCADA platform. EZAutomation, a division of the AVG Group, is a manufacturer and direct online seller of innovative low cost automation products made in America. The AVG Group has been in business serving the automation industry since 1968. In fact, Struther’s Dunn, a division of AVG, which later changed its name to Uticor, first invented the PLC for welding controls in the automotive industry. The EZAutomation division was originally launched in 2001 with its introduction of the EZTouch® HMI/Operator Interface now used by over 35,000 companies. Over the years, EZAutomation has designed hundreds of industrial automation products including PLCs, Power Supplies, Timers, and Industrial Panel PCs just to name a few, becoming a one stop shop, of affordable automation innovations, while proudly maintaining the “Made in America” campaign . Product Description: The multi-functional EZRackPLC works as a full blown programmable logic controller with a FREE ladder logic software platform and/or Edge-of-Network and Gateway device that is Sparkplug MQTT Enabled. It’s rugged construction and powerful CPU is ready for IIoT applications. With a Sparkplug/MQTT enabled CPU and direct connectivity to external devices such as sensors, RTDs, analog inputs etc. 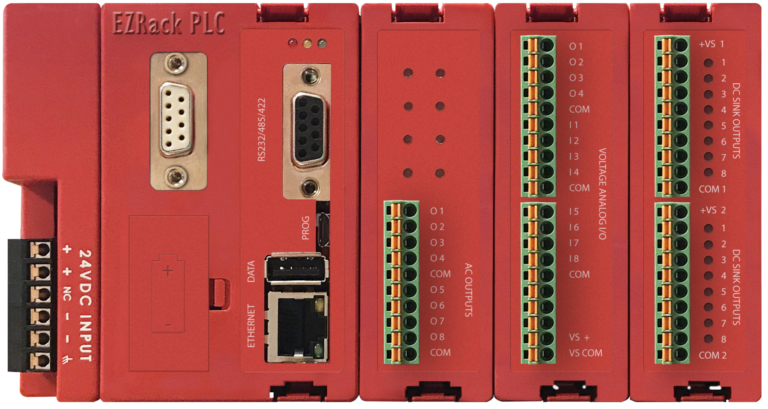 as well as easy to setup built-in communications with Industrial Ethernet networks such as EtherNetI/P and Modbus TCP/IP, the EZRackPLC is ideal for data monitoring, M2M solutions and complete PLC/Process control. As a 25-year leader in long-range industrial M2M wireless solutions, FreeWave has helped thousands of customers achieve reliable connectivity for data telemetry and command and control, in some of the most challenging, remote, and rugged environments in the world. 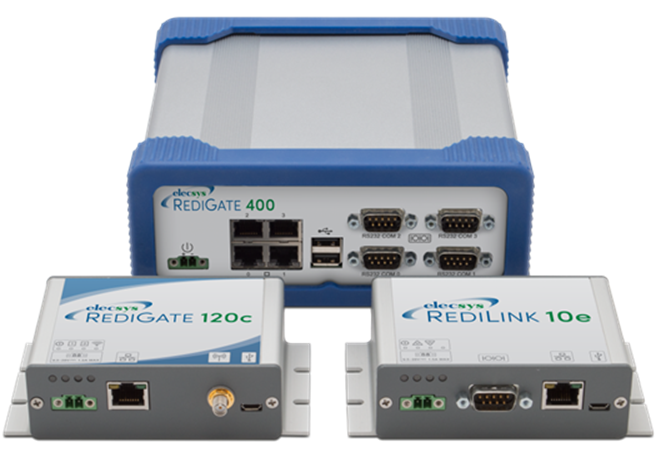 Today, we’re seeing the potential of the Industrial Internet of Things (IIoT) and have added computing to our connectivity portfolio to include the integration of edge tools, such as, Ignition Edge. Hilscher – Hilscher Gesellschaft für Systemautomation mbH was founded in 1986. Today, the company has more than 260 employees at 10 locations worldwide. With the philosophy of continuous growth based on its own resources, the company is a reliable partner for its customers. All processes are certified in accordance with ISO 9001 and 14001. The core competence of Hilscher is ASIC technology for fieldbus and Real-Time Ethernet, as well as the development and production of industrial communication solutions for modern factory automation. Hilscher’s products range from PC cards, gateways, OEM plug-in modules to powerful ASICs including all main fieldbus and Real-Time Ethernet protocol stacks. Product Description: The netIOT Edge gateways securely connect automation networks with cloud or any IoT application. 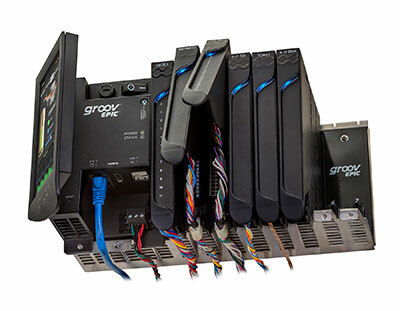 As field devices, they perform cyclic I/O data exchange with the PLCs and IoT-capable field devices providing key field data sets for intelligent higher-level applications and M2M solutions. The netIOT gateways are highly secure with physical separation of the automation and IT network, built with a secure operating system, securely execute only signed firmware and packets with encryption techniques of the latest standards. A web-based Thing Wiring Editor serves to model the data flow in the devices. Data apps and data profiles are created in minutes with predefined function blocks. OPC UA and MQTT functions address objects in IoT field devices or in the cloud over standardized IoT protocols. Magnetrol – For more than 80 years, Magnetrol® level controls and flow controls have been transforming industrial processes. 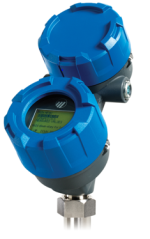 As the innovator of the first magnetic liquid level switch and pioneer of today’s level and flow technology breakthroughs, MAGNETROL manufactures instrumentation that is more intelligent, more reliable and simpler to install and operate – making it far more easy for you to improve safety, drive efficiency and grow your business. Moxa– Your Trusted Partner in Automation Moxa is a leading provider of edge connectivity, industrial computing, and network infrastructure solutions for enabling connectivity for the Industrial Internet of Things. With over 25 years of industry experience, Moxa has connected more than 40 million devices worldwide and has a distribution and service network that reaches customers in more than 70 countries. Moxa delivers lasting business value by empowering industry with reliable networks and sincere service for industrial communications infrastructures. Information about Moxa’s solutions is available at www.moxa.com. Moxa’s UC-8112-LX-CG is an embedded computing platform designed for large scale, Industrial IoT edge computing applications. It features an ARM® Cortex™-A8 processor and versatile communication interfaces. Coupled with Moxa’s ThingsPro Suite, it enables fast integration between the things in the field and the applications required for the Industrial IoT. ThingsPro Suite is a set of software packages built on an open Debian Linux platform that enables the integration of Modbus communications, computing, data acquisition, and wireless networking in a few simple steps. 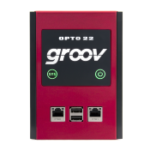 Featuring Data Logger and Wireless Manager tools, it empowers users to focus primarily on their applications instead of the complex integration between things in the field and services in a centralized computing facility. Coupled with Cirrus Link’s MQTT spark plug MQTT protocol stacks, users now can easily map Modbus/TCP and Modbus RTU to Spark Plug MQTT while retaining Linux programmability for the Industrial IoT applications. UC-8112-ME-T-LX-LTE-US is a more ruggedized version of the UC-8112-LX-CG. While UC-8112-LX-CG is designed for LAN-based industrial IoT applications, the UC-8112-ME-T-LX-LTE-US is designed to operate at -40C~70C environment with 4G LTE in operation. Opto 22 – Opto 22 was founded in 1974 by engineers who designed a better solid-state relay and chose to build it in a non-corporate, flat organization. Now, 40 years later, we’re still privately held, lean, and run by engineers. Our flat organization fosters individual responsibility, quick response to customers’ needs, and fast development of cutting-edge products. Build your own mobile operator interface to monitor and control automation systems, OEM machines, and Internet of Things (IoT) devices.